On March 12, 2013, Philadelphia County Court of Common Pleas Judge Arnold New issued a Post-Koken decision on venue in the case of Fish v. Erie Insurance Company, No. 003411 Jan. Term, 2013 (Phila. Co. 2013 New, J. ), granting Erie Insurance Company's preliminary objections and transferring venue of a UIM case from Philadelphia to Franklin County. The ruling was by Order only. The motor vehicle accident occurred in Franklin County. The Erie insured resided in Franklin County as well. The Erie Insurance UIM endorsement contained a venue selection clause that provided: "Suit must be brought in a court of competent jurisdiction in the county and state of your legal domicile at the time of the accident." 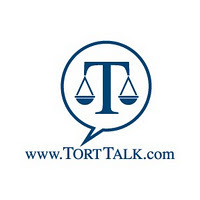 Tort Talkers may recall that, previously, the Pennsylvania Superior Court ruled on an identical venue selection clause in an insurance policy in the case of O’Hara v. The First Liberty Ins. Corp. d/b/a Liberty Mut. Ins. Group, 984 A.2d 938 (Pa. Super 2009) alloc. denied 2010 WL 1752268, 39 EAL 2010, May 4, 2010, and transferred that case from Philadelphia County to Delaware County. As stated, the court in this case of Fish v. Erie Insurance Company upheld and applied the forum selection clause to rule that the case should be transferred out of Philadelphia County over to Franklin County. The Court also required the Plaintiff to pay the costs of the transfer. 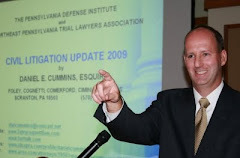 I send thanks to Attorney John Statler of the Lemoyne, PA law office of Johnson, Duffie, Stewart & Weidner for bringing this case to my attention. Attorney Statler advised that Attorney Liz Snover of that office drafted the Preliminary Objections and Brief in the case.